I really should be more grateful. Earlier this year, I was at the Grand Cayman enjoying the radiant sun, wearing sandals when New York was freezing and gray. I ended up at the Anchor & Den having a late afternoon snack. The wait staff composed of people from around the world: Germany, The Philippines, Scotland, Mexico, and the other Caribbean Islands. It was a beautiful resort: open, airy, sunlight filling all the windows, white sand beach, gourmet chocolate bar, artisan cocktails, impressive artwork on the wall, and many many well-dressed and smiling tourists. 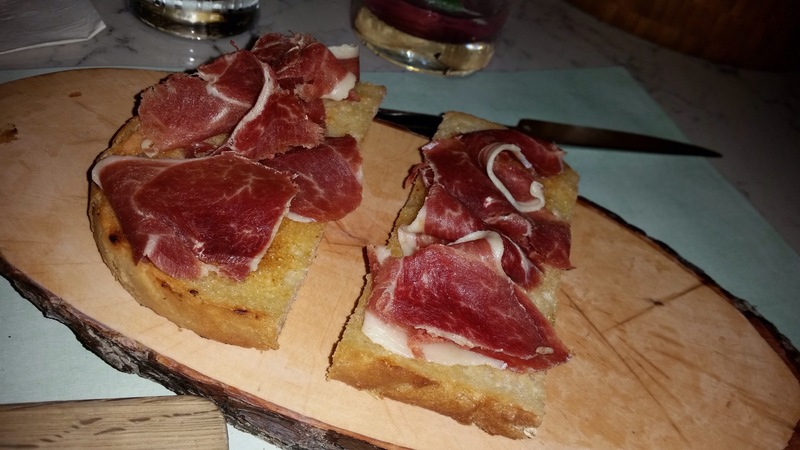 Jamon Iberico on garlic bread. Delicious Jamon. The garlic bread was too garlicky – not suitable after the first piece. 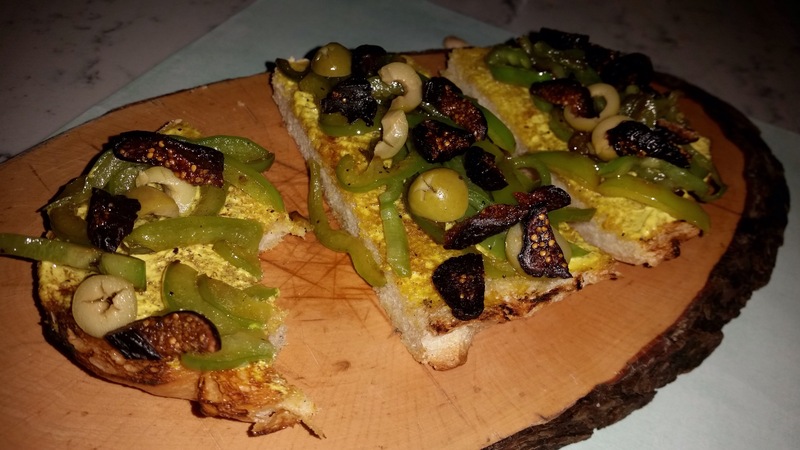 Tartines: Black mission fig and bell peppers, nicoise olives, curry herb paste on homemade grilled sourdough. Fantastic. Sweet and soft with a tangy and salty aftertaste. I really should be more grateful but I was not. Why? Because it felt all too perfect and too made up. I may be naive but I do know the world does not look like this.